What a see-sawing market the past couple of months. It saw the S&P 500 having one of its worst Decembers on record to having one of its best Januarys on record. 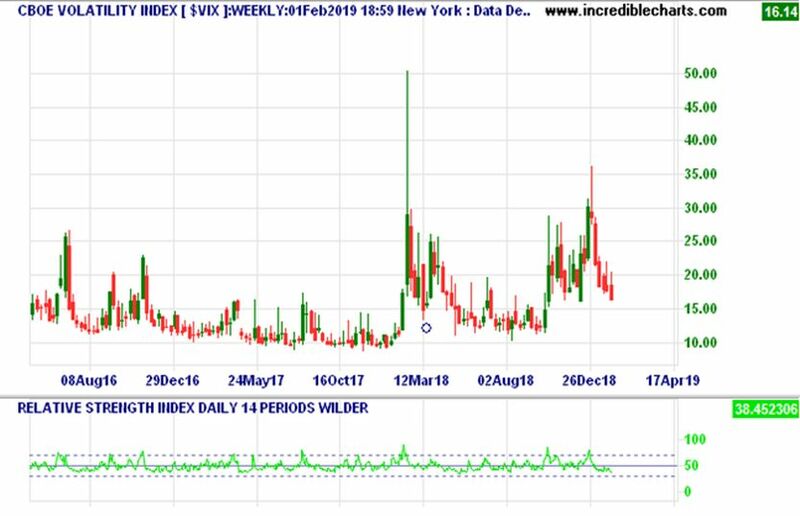 You can see the negative correlation very well when comparing the US Volatility Index to the S&P 500. 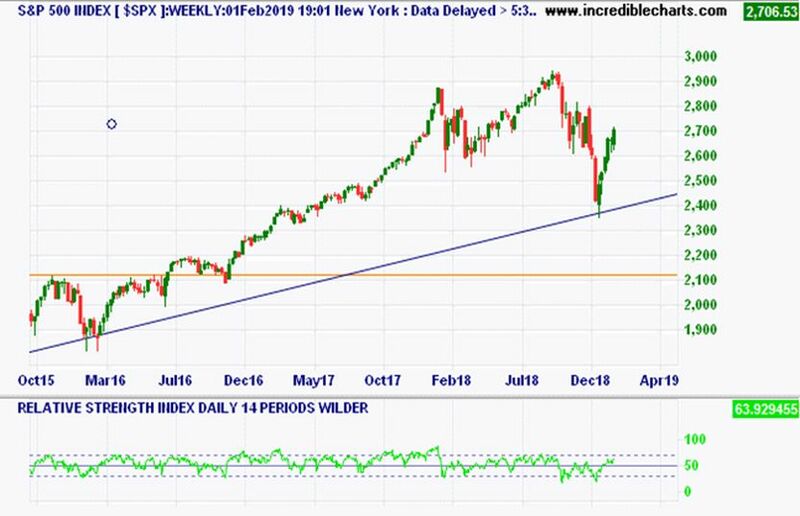 They generally go in opposite directions and if you are a long-term investor looking for opportunities to hold for the long term the Volatility Index can be a good one to watch. When it spikes it generally means the respective market has had a good sell off and is providing good long-term opportunity. In this case it was providing a very good short-term opportunity for the month of January. This applies to all markets whether the US or at home. Speaking of our local ASX 200 market and Monday is going to be a very interesting day. It will either see our market rocket up or down depending on the findings in the Hayne report and the subsequent recommendations. Which way it will go would be anyone’s guess. 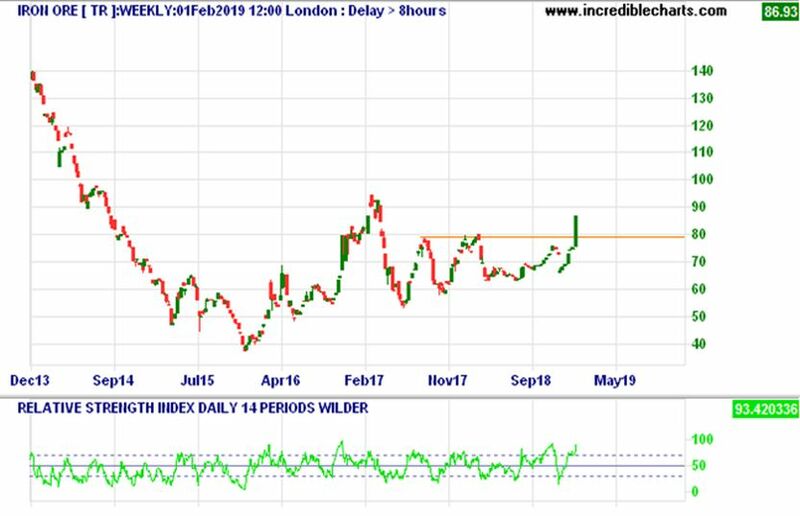 If I had to have a punt, then the optimist in me would be on the Bullish side considering the technical indicators are very bullish with significant bullish RSI divergence. This along with the fact that the Banks have taken a bigger hit than other sectors and the negative news could already be factored in. I’m hoping for a surprise to the upside. 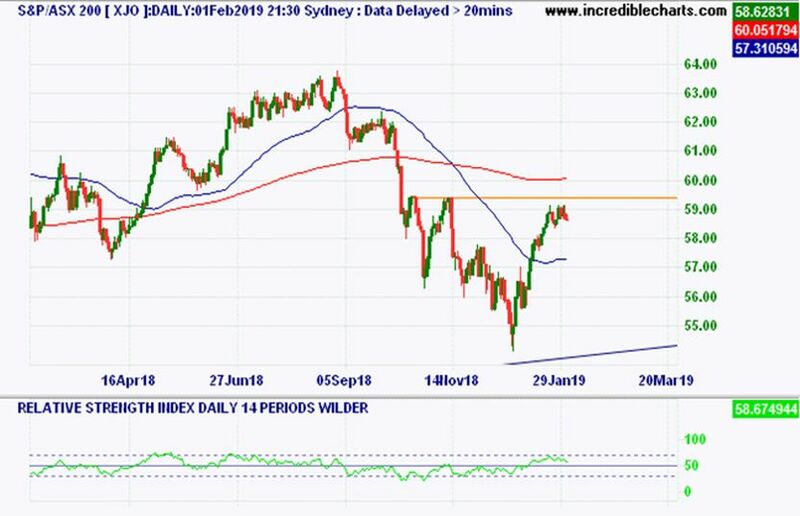 If my hopes are badly placed, then we are in for the next leg down on the ASX 200 to test the recent lows and the down trend will be intact considering the highs around the 5950 level won’t be broken. 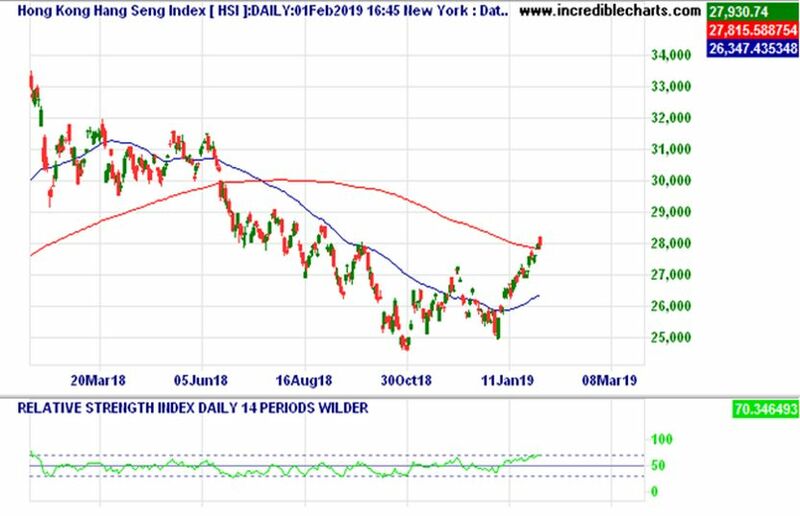 More on the positive side of the equation being the Hang Seng which you can see below is now in a short-term uptrend with higher highs and a higher low and nestling around the 200-day moving average. 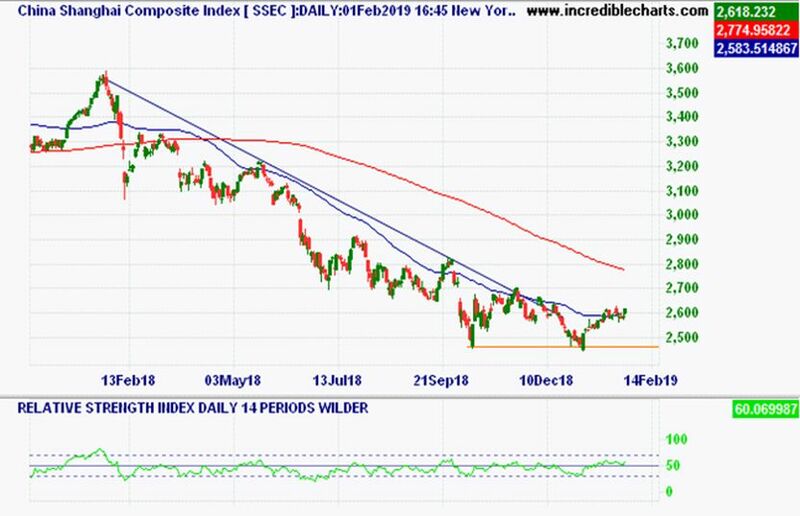 The Shanghai Composite is also showing signs of support and bottoming with support around the 2500 level and looking like it is ready to break above the 60-day moving average. 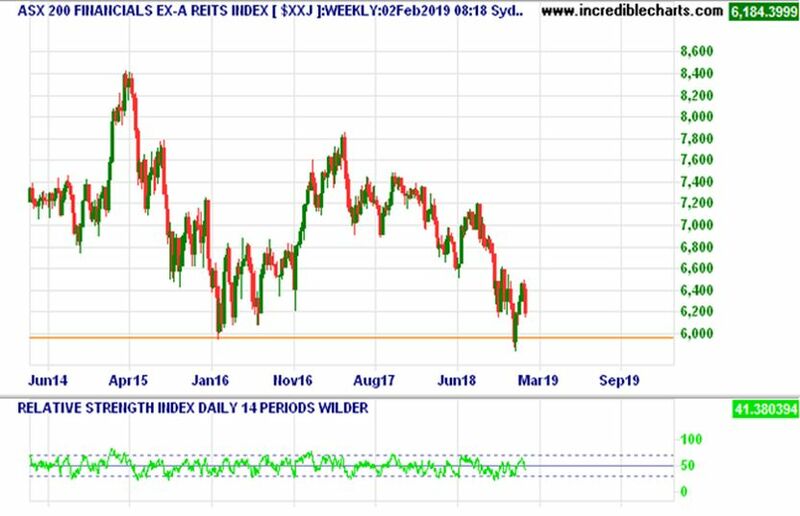 This along with Iron Ore smashing through the 80 barrier, has highlighted some signs of optimism for our local market from a technical perspective even though the media are still belting out the bad news. We also still have a little way to go before the dreaded inverted yield curve comes home to bight us. Remember that markets are always forward looking so the news is always too late. Enjoy your week! Fingers crossed for Monday.